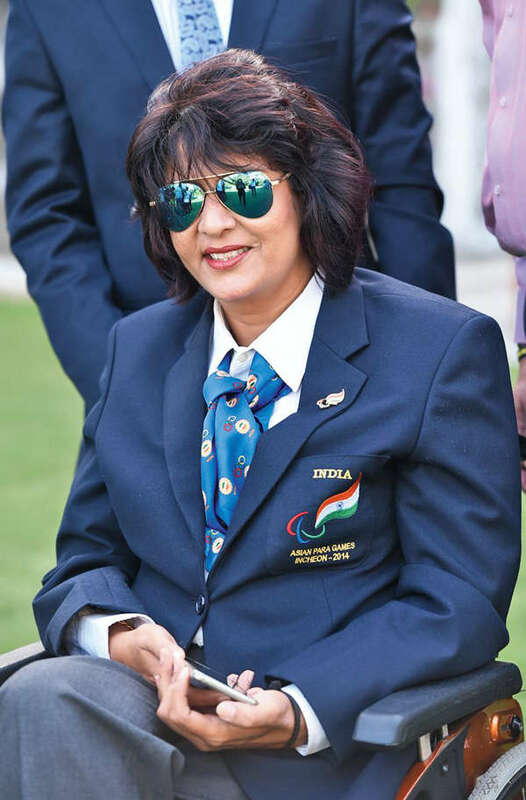 Bhopal, Dec 6: Rio Paralympics silver medallist Deepa Malik is eyeing a podium finish at the 2018 Asian Games at Jakarta. "I was chosen in the Target Olympic Podium (TOP) scheme. Now it is my duty to take training. I am doing that. I am hopeful of bringing a big medal to the country again (in the 2018 Asian Games)," Malik told PTI here today. She today participated in a function organised by the Madhya Pradesh government where sports-persons were feted. Malik was the first Indian woman athlete to win a medal at the Paralympics. According to her, she holds the Asian record and her Asian ranking was number one. "I need your all prayer .. my health should be ok. I am a case of tumor. I suffer from repetitive tumor. It is my duty to work hard and stay healthy," she added. Malik won a silver medal in the women's shot put event at the Paralympics.